We want to stress that people need to watch this video all the way through; for some of the most incredible and revealing quotations come in the middle and as you go along in the video; but the first part of the video provides an essential foundation to understand what’s covered later. This video demonstrates that what happened on Sunday, with the ‘canonization’ of Antipope John Paul II, was the world worshipping the Beast. The one whose veneration was just imposed upon alleged ‘Catholics’ by the Counter Church was the Antichrist. It is an indisputable fact of Sacred Scripture and Sacred Tradition that Jesus Christ made Peter the visible head of His Church. Christ gave the supreme authority to Peter and Peter’s successors as Popes to rule the universal Church of God, to invoke their supreme authority when necessary to teach infallibly on doctrinal issues, and to regulate the Catholic Church’s laws and worship. But, as many of you know, throughout the 2000 year history of the Catholic Church, there have been some Antipopes, that is to say, men who claimed to hold the authority of Pope, yet who were not canonically elected as head of Christ’s Church. Some Antipopes were installed by Anti-Catholic Emperors who had taken the true Pope into exile and implanted their own man. Others were elected fraudulently after the true Pope had already been chosen. One of the most notorious cases in Church history was that of the Antipope Anacletus II, who reigned in Rome from 1130 to 1138. Anacletus had been implanted in an uncanonical election after Innocent II, the true Pope, had already been chosen. Despite his invalid and uncanonical election, Antipope Anacletus II gained control of Rome and the support of the majority of the College of Cardinals. Anacletus held the support of almost the entire populace of Rome until the true Pope regained control of the city in 1138. It is not our goal in this article to deal in depth with the cases of Antipopes in Church history. It should suffice to say that in the history of the Church there have been many different cases of Antipopes, cases that have encompassed a wide variety of circumstances. An entire article could be dedicated to investigating the history surrounding many of these Antipopes’ reigns, since there have been over 40 Antipopes in the history of the Catholic Church. We simply want to note at the beginning of this article that Antipopes (that is to say, false successors of Peter) have existed, who have deceived a significant part of the Catholic world, and even posed as the true Pope while reigning from Rome itself. This fact proves that it is not impossible that an Antipope is reigning from Rome right now, an Antipope posing to the world as the true Pope, while in fact being the Church’s bitter enemy. As many of you know, and as we have documented on our video Vatican II: Council of Apostasy, the incredible changes that have taken place in the Catholic world as a result of the Second Vatican Council, have been a complete break with Traditional Roman Catholicism. It is simply a fact that Vatican II and the religion it produced were contrary to the unchangeable teaching of the Roman Catholic Church. In the video Vatican II: Council of Apostasy, we proved that the two men who instigated the Vatican II apostasy and revolution – John XXIII and Paul VI – were not legitimate Popes, but actually non-Catholic Antipopes. In this article we will shine the spotlight on the man who has perpetuated the Vatican II apostasy to levels that far exceed that of John XXIII and Paul VI. We will shine the spotlight on John Paul II, arguably the greatest heretic in the history of the world, and we will prove that he is not and cannot be the real Pope of the Catholic Church. To understand why John Paul II cannot be the Pope, one must understand heresy and apostasy. Heresy is the obstinate denial or doubt by a baptized person of an article of divine and Catholic Faith. In other words, a baptized person who deliberately denies an authoritative teaching of the Catholic Church is a heretic. Pope Leo XIII proclaims this teaching in his encyclical Satis Cognitum. Apostasy, on the other hand, is not merely the denial or doubt of one or more teachings of the Catholic Church, but a complete rejection of the Christian Faith altogether. In this video we will show that John Paul II is both a heretic and an apostate. Moreover, in judging that John Paul II is a heretic and is not the Pope (and is therefore an Antipope), one is not judging the Holy See; rather, as the teaching already quoted shows, one is correctly identifying that a manifest heretic is outside the Church and therefore cannot occupy the Holy See. And the truth expressed by these saints, such as St. Robert Bellarmine, that a heretic cannot be the Pope, is not merely their fallible opinion, as some defenders of John Paul II have argued; rather, the teaching expressed by these saints is a dogmatic fact. It is rooted in the infallible dogma that heretics cannot be members of the Catholic Church. Therefore, to hold the position that a heretic can be the Pope is heretical. So let no defender of John Paul II tell you that it does not matter whether or not he is a heretic, or that even if he is a heretic he can still be the Pope. No, this is not true, as we have proven. If John Paul II is the Pope, he cannot be a heretic. He must be a Catholic and a member of the Catholic Church. But, as we will show, John Paul II is definitely neither a Catholic nor a member of the Catholic Church. Therefore, he absolutely cannot be its head. Some confuse this issue unnecessarily by employing the term “material heretic.” Some of the people who have realized John Paul II’s major contradictions to Catholic teaching argue that John Paul II is merely a “material heretic”, not a real “formal heretic.” “Material heretic” is a term used by theologians to describe a Catholic erring in good faith regarding some Church teaching, who has not denied it deliberately. The only way that one can be a “material heretic” is by being unaware that the position that he holds is contrary to the teaching of the Church. Such a person would change his position immediately upon being informed of the Church’s teaching on the matter. Thus, a so-called “material heretic” is not a heretic at all, but rather a confused Catholic who denies nothing of that which he knows the Church to have taught. The fact that a so-called “material heretic” is not a heretic is proven by the fact that a so-called “material heretic” does not cease to be part of the Church; and we have already proven that all heretics cease to be members of the Church. Furthermore, a so-called “material heretic” (an erring Catholic) does not bring down on his head eternal punishment for denying the faith; and all heretics bring down on their heads eternal punishment for denying the faith. Number 1) It is a fact that Antipope John Paul II knows of the many dogmas of the Church which he denies. For example, in the 1999 agreement with the Lutheran Church on Justification, approved by John Paul II, John Paul II agreed that the Council of Trent no longer applies. It goes without saying that he cannot be unaware of the Council of Trent if he holds that it no longer applies. This, among other things, makes the claim that Antipope John Paul II is only a material heretic impossible. In fact, John Paul II speaks 14 languages fluently, and has spoken and written intelligently on scholarly subjects more than most people would ever dream. The amount of material that he has produced is actually staggering. To assert that he is unaware of the simplest Church teachings that he denies is false and ridiculous in the highest degree. Number 2) It is impossible for Antipope John Paul II to be only a “material heretic” or a mistaken Catholic because – supposing for a moment that he were unaware of the multitudes of dogmas which he denies (which, as we have stated, is not true) – being a bishop and a man who claims to be the Pope, he is bound to have learned them. Therefore, there is no excuse for his being unaware of the fundamental Church dogmas which he denies. Number 3) It is impossible that Antipope John Paul II is merely a material heretic because there are certain things that every adult must hold by a necessity of means in order to be a Catholic, and Antipope John Paul II does not hold those things. To name just a few things: every adult Catholic must believe in the Trinity; that there is only one true Church; that there is only one true faith. An adult Catholic must also believe that the true Church must be believed and that all non-Catholic religions are false. John Paul II rejects that there is only one true Church and one true faith, as we will show; he rejects that the Catholic Church should be believed by non-Catholics, by saying that we should not try to convert non-Catholics, as we will show; and he rejects the fact that non-Catholic religions are false, as we will show. 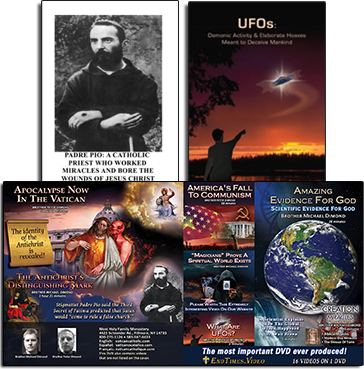 It is not possible for a person who has reached the age of reason to believe these things and still be a Catholic, because such a person does not believe in essential mysteries that must be believed by those who possess the true faith. Universal Salvation – that all men will be saved. The only difficulty in treating of the heresies of John Paul II is deciding where to begin. His heresies are so numerous that one is almost overwhelmed with the decision of where to start. We decided that a good place to begin is his consistent teaching of universal salvation. It goes without saying that the idea that all men are saved is contrary to the clear words of the Gospel and numerous Catholic dogmas, especially the dogmas that Outside the Catholic Church there is no salvation and that all who die in original sin or mortal sin cannot be saved. However, it is a fact that Antipope John Paul II holds and teaches that in the Incarnation, the Son of God united himself with every man in an unbreakable union, which makes it impossible, according to him, for anyone to go to Hell. Antipope John Paul II explicitly teaches that this union between Christ and each man lasts forever. Notice the word “forever” in all three of these quotations. Yes, in three different encyclicals, Antipope John Paul II bluntly asserts that every man is united with Christ forever. This means that all men are saved, because hell is eternal separation from God, and no one is ever separated from God according to Antipope John Paul II. Everyone is united with God forever. There is not a more succinct way of teaching universal salvation. There are many other quotations that one could bring forward to prove that Antipope John Paul II holds that all men are saved. For example, in 1985, Antipope John Paul II explained how the Redemptive blood of Christ is not merely available to all (which is true), but that it actually reaches all and saves all. In contrast with this, the dogmatic teaching of the Catholic Church affirms that the blood of Christ does not reach all or save all. Only those who are freed from original sin by baptism, and united to Him through the sacraments and the true faith, receive the benefit of Christ’s death. Here Antipope John Paul II explains that the whole of humanity has been saved and is participating in the divine life. The phrase “participating in the divine life” refers to the state of Justification or the state of sanctifying grace. 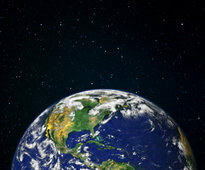 Therefore, by saying that all of humanity participates in the divine life, Antipope John Paul II is saying that all of humanity is in the state of grace. No one is in mortal or original sin. Besides his incredible doctrine of universal salvation and universal justification, there are many other heresies of Antipope John Paul II for us to examine. Of particular note is his teaching on the Third Person of the Blessed Trinity, the Holy Ghost. What Antipope John Paul II teaches about the Holy Ghost is so blasphemous and heretical that it is arguably his worst heresy. Here Antipope John Paul II says that the firm belief of the followers of non-Christian religions proceeds from the Holy Spirit, the Spirit of Truth. Since we know from Sacred Scripture and Catholic teaching that Satan is the author of all non-Christian religions, what is being stated here by Antipope John Paul II is that the Holy Spirit, the Spirit of Truth, is actually the spirit of lies – Satan. This is an unbelievable blasphemy against God. Here Antipope John Paul II says that respect for non-Christian religions is dictated by respect for the action of the Spirit in man. This clearly means that the Spirit is responsible for these non-Christian religions, which again means that the Holy Spirit is to be understood as the spirit of lies – Satan. While Scripture tells us that the gods of non-Christian religions are devils (1 Corinthians 10:20), and that their members lie in darkness (Colossians 1:13), Antipope John Paul II informs us that other religions stimulate us to discover the presence and the working of the Spirit. This means that non-Christian religions are a work of the Spirit – the Holy Spirit – which again equates the Spirit of Truth with the spirit of lies: Satan. Antipope John Paul II’s religious indifferentism is perhaps the most common characteristic of his volumes of heretical writings and speeches. He constantly praises and esteems non-Christian religions, thereby denying the Most Holy Trinity and the necessity of believing in the one true Catholic religion, while making a mockery of the deaths’ of the martyrs. The word “feat” means an extraordinary act. So Antipope John Paul II says that Buddhism and Confucianism are splendid fruits in religion, and that it was an extraordinary act that the Koreans transmitted these religions of Satan to others! On March 21st, 2000, Antipope John Paul II asked St. John the Baptist to protect Islam (the religion of the Muslims), which denies Christ and the Trinity, and keeps hundreds of millions of souls in the darkness of the devil that Pope Gregory XVI just described. This is to ask St. John to protect the denial of Christ and the damnation of souls. Here again we find a clear expression of Antipope John Paul II’s apostasy. He says that God makes himself present through the spiritual riches of peoples, of which their religions are the main expression. This means that God makes himself present to peoples through non-Christian religions, which means that non-Christian religions are true and inspired by God. In addition to the volumes’ worth of speeches and writings which express Antipope John Paul II’s religious indifferentism and total apostasy, there are a host of actions that cannot be overlooked. The most notorious of these actions was the Assisi world day of prayer for peace on Oct. 27, 1986. 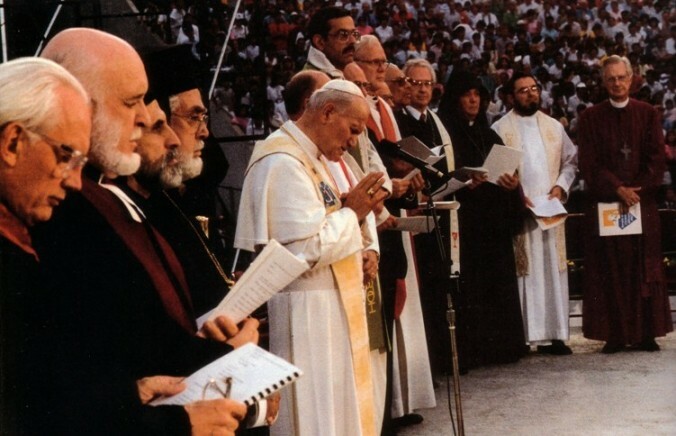 On this day, Antipope John Paul II prayed with over 130 different religious leaders of all kinds of religions, thereby repudiating the teaching of Scripture and the 2000-year teaching of the Catholic Church outlawing prayer with false religions. During this meeting, the Dalai Lama placed a Buddhist statue on the tabernacle in the Church of St. Francis. Among the various false religious leaders at Assisi were rabbis, Islamic muftis, Buddhist monks, Shintoists, assorted Protestant ministers, Animists, Jainists and others. During the meeting a member of each false religion came forward and offered a prayer for peace. The Animist leader prayed to the “Great Thumb.” Amid this tremendous display of apostasy, no prayer was offered by Antipope John Paul II for the conversion of these infidels, heretics and pagans. The 1986 Assisi event is exactly – I repeat – exactly what Pope Pius XI authoritatively condemned in his encyclical Mortalium Animos. Antipope John Paul II continued with his wild program of Apostasy, totally condemned by the teaching of the Catholic Church, after the Assisi event. Antipope John Paul II sponsored pagan prayer meetings at Kyoto (1987), Rome (1988), Warsaw (1989), Bari (1990), and Malta (1991), as well as numerous meetings since that time. 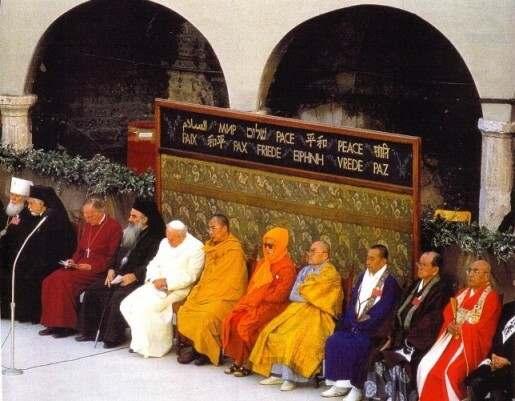 There was also the outrageous pagan prayer meeting in 1999, which was officially dubbed “The Pan-Christian Encounter,” at which a large gathering of false religions came to the Vatican at the request of Antipope John Paul II. Most recently there was the spectacle of Assisi 2002. On Jan. 24, 2002, Antipope John Paul II held another pagan prayer meeting in the city of Assisi Italy, a repeat of the abominable event that took place in 1986. But this Assisi meeting may have been even worse. During the prayer meeting the representative of every false religion involved was allowed to come to the pulpit and give a sermon on world peace. In the presence of Antipope John Paul II, a voodoo high priest came to the pulpit outside the Basilica of St. Francis and gave the voodoo prescription for world peace. 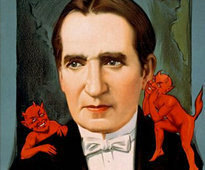 (Voodoo, remember, is Satanism). So, by Antipope John Paul II’s arrangement, from a pulpit outside the historic Basilica of St. Francis, a Satanist was allowed to give a sermon and provide his prescription for world peace. This would involve slitting the throats of goats, chickens, doves and pigeons, and draining their blood from their arteries. After the Jew, the Buddhist, the Muslim, the Hindu and the rest were finished preaching, the various false religious leaders broke up into different rooms to pray to their false gods. Antipope John Paul II had it arranged in advance that each religious group was given a separate room in which to worship the devil. All of the crucifixes were removed, and the crucifixes which could not be removed were covered. Antipope John Paul II made sure that the infidels and pagans saw no sign of Jesus Christ. The Muslims needed a room which faced East toward Mecca – and it was given to them. The Zoroastrians needed a room with a window, so that the smoke from the wood chips that they burned to the devil could exit through it – and it was given to them. The Jews wanted a room that had never before been blessed; in other words, a room that had never been blessed in the name of Jesus Christ – and Antipope John Paul II provided them with one. Greater abomination, blasphemy and rejection of the true God almost cannot be imagined. 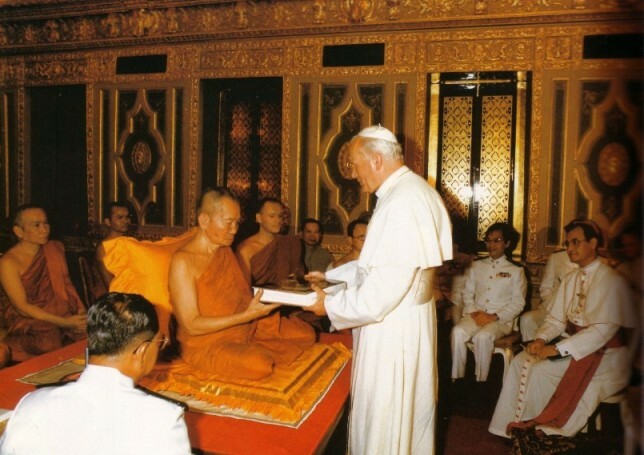 In his second Asian journey in 1984, Antipope John Paul II visited the Buddhist Temple. Before reaching the Temple, he expressed how anxious he was to meet quote “His Holiness, the supreme Buddhist Patriarch in the Temple.” While in the temple of idolatry, Antipope John Paul II bowed to the Buddhist Patriarch who stood in front of a gigantic statue of Buddha. On April 13, 1986, Antipope John Paul II traveled to the Jewish Synagogue in Rome. There he bowed his head with the Jews as they prayed for the coming of their Messiah. This incredible act of apostasy by Antipope John Paul II is directly connected to his heretical teaching that the Old Covenant is still in force. The Catholic Church teaches that with the coming of Jesus Christ and the promulgation of the Gospel, the Old Covenant (that is, the agreement made between God and the Jews through the mediation of Moses) ceased and was replaced with the New Covenant of Our Lord Jesus Christ. It is true that some aspects of the Old Covenant are still valid because they are included in the New and Eternal Covenant of Jesus Christ, such as the ten commandments, but the Old Covenant itself (the agreement between God and the Jewish people) ceased with the coming of the Messiah. Therefore, to say that the Old Covenant is still valid is to assert that Judaism is a true religion and that Jesus Christ is not really the Messiah. It is also to deny defined Catholic dogma, such as the teaching of The Council of Florence, which defined ex cathedra that the Old Law is now dead and that those who practice it (namely, the Jews) cannot be saved. Antipope John Paul II has repeatedly repudiated this dogma, a dogma taught by the Catholic Church for 2000 years, defined infallibly by the Council of Florence, and affirmed clearly by Pope Benedict XIV. We see here that Pope Benedict XIV condemns word for word the heresy taught by Antipope John Paul II, that the Old Covenant has never been revoked by God! In fact, Antipope John Paul II teaches the same heresy on the Old Covenant in his new Catechism, again word-for-word opposed to Catholic dogma. This is blunt apostasy. By venerating the synagogue, Antipope John Paul II is venerating the Jews’ denial that Jesus Christ is the Messiah. But Jerzy Kluger is not the only Jew who has been made to feel more Jewish by Antipope John Paul II. There is the Jewish Maestro Gilbert Levine. Levine noted that in his many-year relationship with John Paul II that John Paul II has never given him the slightest indication that he wants to convert him. After the concert, John Paul II called for Levine to receive the Vatican Knighthood. Levine became a Knight Commander of the Equestrian Order of St. Gregory the Great. Antipope John Paul II chose Cardinal Lustiger of Paris to bestow the honor. Lustiger himself, who was raised a Jew, stated in a 1981 interview: “I am a Jew. For me the two religions are one.”(41) The honor that Antipope John Paul II had bestowed on Levine is one of the very highest that can be received by laymen. All of this proves that John Paul II and his bishops are complete apostates from the Catholic Faith. On March 26, 2000, Antipope John Paul II prayed at the Western Wall in Jerusalem. The Western Wall is the stone remnant of the Jewish Temple in Jerusalem that was destroyed by the Romans in 70 A.D. The Jews pray at the Western Wall as the holiest site in Judaism. The destruction of the Temple in 70 A.D., leaving only the Western Wall, has always been understood by Catholics to signify God’s judgment on the Jews. The destruction of the Temple prohibited Jews from being able to offer sacrifice, which meant that their religion had come to an end. The destruction of the Temple was God’s powerful sign to the Jews that the Messiah had come, that the Old Covenant had ceased, and that the Temple had been replaced by the Catholic Church. So when a Jew prays at the Western Wall, or leaves a prayer there, it is a denial that Jesus is the Messiah; it is an affirmation that he holds that the Old Covenant is still in force; and it is a pitiful and sad attempt to ignore God’s very obvious sign that the Jews must abandon the destroyed Temple and enter the Catholic Church. So when Antipope John Paul II himself prayed at the Western Wall in March of 2000, it was an attempt to validate Judaism. It was a denial that Jesus Christ is the Messiah, a direct affirmation that he holds that the Old Covenant is still in force, and a mockery of God’s clear sign that the Jews must abandon the destroyed Temple and enter the Catholic Church. One informed commentator pointed out that when Antipope John Paul II prayed at the Western Wall, most of the nation of Israel was watching on television. This means that every Jew watching on television was given the impression by Antipope John Paul II that he does not need to convert to Jesus Christ because he is not the Messiah. The prayer that Antipope John Paul II left at the Western Wall asked forgiveness for sins against the Jewish people. 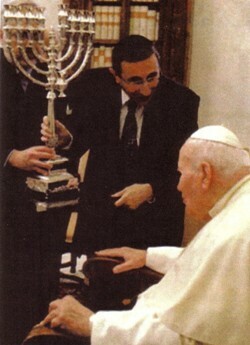 In late 2001, a Vatican Commission under Antipope John Paul II released a book entitled The Jewish People and the Holy Scriptures in the Christian Bible. 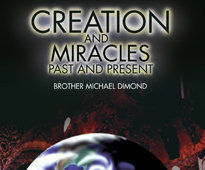 The book argues that the Jews’ wait for the coming of the Messiah is still valid. Antipope John Paul II has stated that non-Christian religions are great literally hundreds of times. And every time he does so he is guilty of apostasy. It is also worthy of note that Antipope John Paul II’s statements (such as the 1986 Angelus Address above) make it very clear that he considers all of the religions that he invited to Assisi as great, which includes satanic voodoo worship. We could fill the next ten pages with quotes from Antipope John Paul II asserting that non-Christian religions are great, since he has stated it consistently for 25 years, but we must move on. 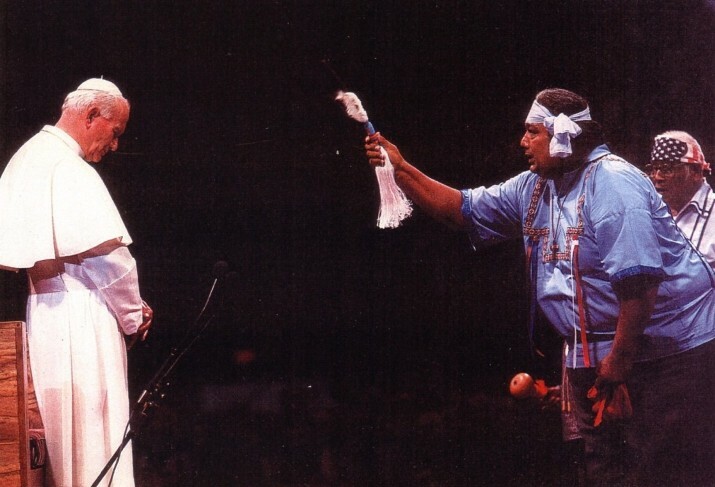 In Cotonou, Africa on Feb. 4, 1993, chanting girls treated Antipope John Paul II to a “trance inducing” voodoo dance. 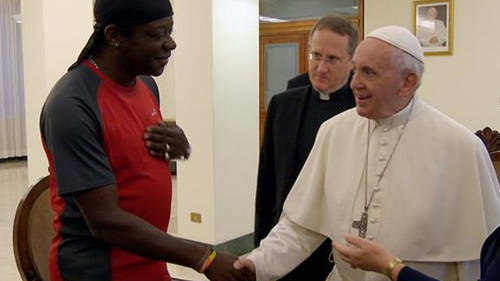 “Particularly noteworthy was the prayer meeting at the sanctuary of Our Lady of Mercy at Lake Togo where, for the first time, I also prayed with a group of Animists.”(46) It has been stated that while in Togo he actually paid homage to the sacred snakes. Antipope John Paul II has also taken part in many events, both in Rome and abroad, where a native pagan ritual is included. These rituals spring from cultures which are entirely demonic and satanic in every aspect of their organized religious practices, yet are included in many of Antipope John Paul II’s liturgical events. 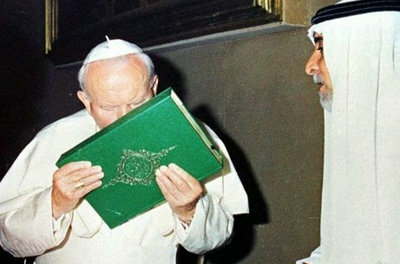 On May 14, 1999, Antipope John Paul II bowed to and kissed the Koran. The Koran is the Muslims’ holy book which blasphemes the Most Holy Trinity and denies the Divinity of Jesus Christ. To revere the holy book of a false religion has always been considered an act of apostasy – a complete rejection of the true religion. Thus, this act alone makes Antipope John Paul II an apostate. Antipope John Paul II has also asserted countless times the heresy that Muslims worship the One True God together with Catholics. Here we find Antipope John Paul II’s Catechism teaching that the Muslims’ god (who is not Jesus Christ) will judge mankind on the last day! This means Jesus Christ will not judge mankind on the last day, but rather the god whom the Muslims worship will. 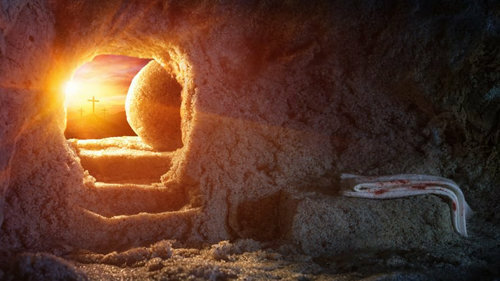 It is a denial of the Second Coming of Jesus Christ to judge the living and the dead. Antipope John Paul II teaches that Eastern Schismatics (the so-called Orthodox) should not be converted to the Catholic Church. To provide a little background: The Eastern Schismatics (the so-called “Orthodox”) reject the dogma of the Papacy, which means that they reject the supreme authority of all the true Popes in history. 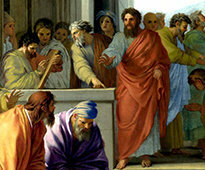 They reject the dogma of Papal Infallibility: that a Pope teaches infallibly when speaking from the Chair of Peter. They reject the dogma of the Immaculate Conception; they refuse to accept the last 13 Councils of the Roman Catholic Church; and they allow divorce and re-marriage. To proselytize is to try to convert someone. So Antipope John Paul II is stating that any effort to try to convert the Eastern Schismatics should be avoided. Here are the words of a real Catholic Pope, Pope Benedict XIV, on the exact same topic. One can easily see the difference between the two religions: the Catholic religion teaches that all of its teachings must be accepted and that non-Catholics need to be converted. The non-Catholic religion of Antipope John Paul II teaches that the Catholic faith is meaningless and that non-Catholics should not be converted. In 1993, the Vatican signed the Balamand Statement with the Eastern Schismatics, the so-called Orthodox Church. In this Balamand Statement, which was approved by Antipope John Paul II, any attempt to convert the Eastern Schismatics is rejected as “the outdated ecclesiology of return to the Catholic Church.”(61) Notice how this statement word for word denies the Catholic dogma that non-Catholics must return to the Catholic Church for salvation and Christian unity. So it is a fact that Antipope John Paul II and his false Church reject word-for-word the dogma of the Catholic faith: that Christian unity is only achieved by conversion to Catholicism, as we see again in the next quote. It is therefore a fact that Antipope John Paul II teaches that the faith of Rome is not to be held by non-Catholics; therefore, he cannot be looked upon as holding the true Catholic Faith. Those who assert, in the face of these facts, that Antipope John Paul II is to be looked upon as holding the true Catholic faith (in other words, that he is their Catholic Pope) are denying this teaching of the Catholic Church. In his encyclical on Sts. Cyril and Methodius (#27), Antipope John Paul II again indicated that Eastern Schismatics should not be converted to the Catholic Church. He stated that unity with the Schismatics ‘is neither absorption nor fusion,’(65) which means not by conversion. The Balamand Statement with the Orthodox actually quoted this very phrase from Antipope John Paul II’s Encyclical on Sts. Cyril and Methodius to prove that Catholics should not convert the Orthodox. So Antipope John Paul II has publicly ensured his listeners over and over again that Catholics should not try to convert non-Catholics and that the Catholic Faith is not necessary for attaining salvation. So much for the Papacy! So much for the last 1000 years of dogmatic statements that the Schismatics reject! So much for divorce and re-marriage! And so much for the Catholic Church, according to Antipope John Paul II; for according to this apostate, all of this means nothing and in fact should not be believed, because quote “the Church” desires nothing else than to keep these people in schism and outside her teachings! In the Summer of 2003, Antipope John Paul II again repudiated the proselytism of the Eastern Schismatics. Antipope John Paul II, Ecclesia in Europa, Post-Synodal Apost. Exhortation, June 28, 2003: “At the same time I wish to assure once more the pastors and our brothers and sisters of the Orthodox Churches that the new evangelization is in no way to be confused with proselytism…” (L’Osservatore Romano, July 2, 2003, p. V). In his encyclical Ut Unum Sint, Antipope John Paul II declared that his Church is in communion with non-Catholic sects an incredible 16 times; and he declared that he has the same faith as non-Catholic sects 8 times. When Antipope John Paul II asserts that he has the same faith and communion as non-Catholic sects, he is asserting that he is a non-Catholic. This infallible definition of Vatican I declares that anyone who deviates from the dogma of the Papacy (that the Pope of Rome holds sovereign power in the Church of Christ), such as the Orthodox Schismatics and the Protestants, cannot keep his faith and salvation. Yet, Antipope John Paul II tells us that the Orthodox Schismatics and the Protestants not only can keep their faith and salvation while denying the Papacy, but should not believe in the Papacy! What a heretic! He completely rejects this dogma of Vatican I.
Antipope John Paul II also gave Karekin II, the head of the Schismatic Church in Armenia, a relic of St. Gregory the Illuminator. Here John Paul II calls the schismatic Orthodox Church the Bride of Christ, a title reserved to the Catholic Church. The Anglican Sect Has a Valid Episcopacy! In 2003, Antipope John Paul II bestowed the pectoral cross upon Rowan Williams, the Anglican “Archbishop” of Canterbury and sent him a telegram of congratulations! For those who don’t know, the Anglican non-Catholic sect does not even have valid priests or valid bishops! Pope Leo XIII infallibly declared that Anglican ordinations are invalid. Anglican “priests” and “bishops” are therefore laymen, besides being non-Catholic heretics and schismatics. Yet, after the election of the new Anglican “Archbishop” of Canterbury Rowan Williams, Antipope John Paul II dispatched the apostate Walter Kasper to give this non-Catholic layman a pectoral cross and a telegram of approval! This is so heretical that there are almost no words to describe it. The pectoral cross is a traditional Catholic symbol of Episcopal authority. By bestowing the pectoral cross upon the apostate Rowan Williams – who is also in favor of women priests and homosexuals being ordained – Antipope John Paul II is not only flatly denying by his deed Pope Leo XIII’s infallible definition that Anglican orders are invalid (see below), but he is also making a complete mockery of the Catholic dogmas on the Papacy and the Church of Christ. During a meeting with Rowan Williams, John Paul II even kissed his ring, proving again that he recognizes this non-Catholic layman as a legitimate Bishop in the Church of Christ! If Antipope John Paul II bestowed the Pectoral Cross upon the Eastern Schismatic “Orthodox” (who have valid orders but are not Catholic) it would be a radical denial of the Papacy. But to bestow it upon a Western Schismatic Anglican layman who is in favor of women priests and homosexuals being ordained is beyond words. It is one of the most heretical things he has done. He is mocking Jesus Christ and the Catholic Church and all the English martyrs who suffered horrible tortures for refusing to abandon Catholicism and become Anglican. It is a complete rejection of the Catholic Church’s teaching on the Episcopacy, Ordination, Apostolic Succession and Church Unity, just to name a few. The idea that non-Catholics may lawfully receive Holy Communion or the other Sacraments is contrary to the 2000 year teaching of the Catholic Church. What’s particularly significant about this heresy of Antipope John Paul II (that it is lawful to give Holy Communion to non-Catholics) is the fact that it also appears in new Catechism, paragraph # 1401. This document was promulgated by the so-called supreme apostolic authority of Antipope John Paul II. Antipope John Paul II’s Catechism is not a sure norm for teaching the faith. It is a sure norm for teaching heresy. Therefore, since Antipope John Paul II has pretended to declare from the Chair of Peter that his Catechism is a sure norm for teaching the faith when it is not, when we know that he does not sit in the Chair of Peter. 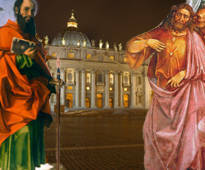 A Pope cannot err when speaking from the Apostolic See, that is, with his Apostolic authority from the Chair of Peter. Antipope John Paul II also teaches that non-Catholic sects are a means of salvation. Antipope John Paul II teaches that non-Catholic sects have saints and martyrs. This proves that Antipope John Paul II directly rejects the solemnly defined dogma (from the Council of Florence below) that non-Catholics cannot be saved, even if they shed their blood for Christ. Antipope John Paul II has also “canonized” people who fully embraced the heresies of Vatican II, the New Mass and who were religious indifferentists, which is impossible for a true Pope to do, since canonizations by real Popes are infallible. This further proves that Antipope John Paul II is not a true Pope. Antipope John Paul II has also approved of the practice of altar girls, a practice rampant in Vatican II Churches. The practice of altar girls was condemned as evil by Pope Benedict XIV, Pope St. Gelasius and Pope Innocent IV. Antipope John Paul II has praised the greatest enemies that the Catholic Church has ever known, such as the Protestant revolutionaries Calvin and Luther. In Oct. 1983, Antipope John Paul II, speaking of Martin Luther, stated: “Our world even today experiences his great impact on history.”(92) And on June 14, 1984, Antipope John Paul II praised Calvin as one who was trying to “make the Church more faithful to the will of the Lord.”(93) To patronize, support and defend heretics is to be a heretic. Antipope John Paul II has also praised the notorious heretics Zwingli and Hus. He even went so far as to say that John Hus, who was condemned as a heretic by the Council of Constance, was a man of “infallible personal integrity”! Antipope John Paul II has also condemned the Crusades. The Crusades were solemnly approved by four Councils and more than 10 Popes, including: Pope Urban II; Pope Callistus II; Pope Alexander III; Pope Callistus III; Pope Clement V; and others. On Oct. 24, 2001, Antipope John Paul II apologized to Red China. That’s correct, Antipope John Paul II apologized to the Satanic Communist Regime in China for the supposed wrongs of Catholics! He even praised the social justice of Red China. Social justice in China includes a one-child per family policy, which is imposed by forced abortion and contraception. The Chinese Government slaughters millions of children every year, in addition to imprisoning, torturing and murdering Catholics. In a series of speeches in the summer of 1999, reported in the official Vatican newspaper, Antipope John Paul II said that Heaven, Hell and Purgatory are not actual places. At the Assisi meeting of Jan. 24, 2002, Antipope John Paul II issued a new ten commandments. He calls it “the Decalogue of Assisi.” The word Decalogue means the ten commandments. So Antipope John Paul II is saying that people need to proclaim his new ten commandments, that he issued at Assisi. This is blasphemy and idolatry. When we contemplate the mysteries of Christ, we don’t perceive in Him the truth about man. Antipope John Paul II says this because he preaches that man is God, and specifically, that the truth about man is that he is Jesus Christ. In his first ever homily as Antipope in 1978, in the very speech which will forever mark the beginning of his pastoral ministry, Sunday, Oct. 22, 1978, Antipope John Paul II proclaims to the world that MAN is the Christ, the Son of the Living God of Mt. 16:16. He even says that this is a “new truth” – a new truth which he (the great Antipope of history) is here to reveal. “Thou art the Christ, the Son of the Living God,” spoken by St. Peter about Our Lord Jesus Christ, are the words which describe the truth about man, according to Antipope John Paul II. The “Catholic community” in Tunisia has no other ambition than to witness to the dignity of man? Antipope John Paul II is again clearly indicating that the “Catholic” community in Tunisia has no desire to convert other non-Catholics, but only to witness to the dignity of man. This means that in man one can find the whole of creation. The Gospel is Jesus Christ (His Life and Teaching); it is the religion of faith and morals that He revealed to the world. To say that the Gospel, the Good News and Christianity are the “deep amazement at man” is to equate man with Jesus Christ; but this is exactly why John Paul II said it and what he is doing. Antipope John Paul II is anathema. He preaches a new Gospel, not of Jesus Christ, but of man in the place of Christ – the Gospel of Antichrist. So the question that everyone professing to be Catholic must ask himself is this: Is John Paul II the head of my Church? Or is John Paul II part of a different religion? If Antipope John Paul II is part of a different religion, and who would dare deny this, then he cannot be the head of the Catholic Church. Furthermore, there are those who have rightfully acknowledged that the Vatican II Church is clearly not the Catholic Church, but they still maintain that Antipope John Paul II is the Pope. They hold that Antipope John Paul II can be a true Pope despite the fact that he is the head of a non-Catholic Church. To them we must say, in addition to what has been stated so far, that such a position separates Pope from Church, which is impossible. Therefore, to acknowledge the Vatican II Church as a false Church requires that one acknowledge its head, Antipope John Paul II, as a false Peter. On the other hand, to acknowledge Antipope John Paul II as a true Peter requires that one acknowledge his false Vatican II Church as a true Church. Moreover, to obstinately acknowledge Antipope John Paul II as a true Pope requires that you have the same faith as he does, and are in communion with his Vatican II Church. But to affirm that you profess the same faith as Antipope John Paul II, after seeing the facts that we have presented, is literally to deny the faith and break communion with the Catholic Church. So, in order to profess the Catholic Faith whole and undefiled, and in order to declare that one is not part of a false Church, one must denounce John Paul II as a non-Catholic Antipope. 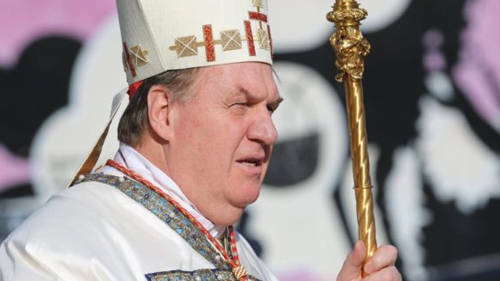 A person cannot use the excuse that he does not have the authority to make this judgment about Antipope John Paul II either, because the judgment that a Catholic makes about Antipope John Paul II, is the exact same judgment, with the exact same authority, that a Catholic makes when he professes that he does not belong to the Lutheran, Calvinist, Presbyterian or Baptist sects; and that he is not in the same Church as those who deny Catholic teaching. Therefore, to say that you don’t feel that you have the authority to figure out the undeniable fact that Antipope John Paul II is a non-Catholic, and the head of a non-Catholic Church, means that you don’t have the authority to determine that any heretic is a non-Catholic and outside the Church. This means that you don’t have the authority to distinguish between the true Church and the countless heretical sects in the world. It means that you don’t have the authority to distinguish between the true Church and a faceless blob of baptized heretics. Therefore, those who assert that Antipope John Paul II is the Pope, after seeing the facts that we have presented, are in communion with a non-Catholic sect, the non-Catholic Church of Antipope John Paul II. They are sharing faith with a non-Catholic heretic, Antipope John Paul II. They are asserting that a manifest heretic, Antipope John Paul II, is a member of the Catholic Church, which is a denial of Catholic dogma. They are asserting that Catholics have no authority to distinguish the true Church of Christ from a heretical sect or the members of the true Church of Christ from the members of heretical sects; and they are asserting that a true Pope can authoritatively promulgate false doctrines. The truth, on the other hand, is that Antipope John Paul II is not a true successor of Peter; but rather, he is another one of the more than 40 Antipopes which the Church has had to deal with in her long history. 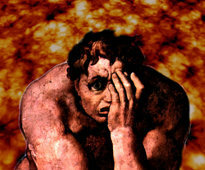 If the Arian heresy was so bad that approximately 1% of the jurisdictional bishops remained Catholic and 99% became Arian, and the Great Apostasy preceding the Second Coming of Christ is predicted to be even worse – the worst apostasy of all time – then one should not be surprised by the fact that there are barely any authentically Catholic priests in the world today and no fully Catholic jurisdictional (i.e., governing) bishops to speak of and that an Antipope is reigning from Rome (as predicted by Our Lady of La Salette) and heading a counterfeit Catholic Church of apostasy, as the foregoing has so clearly shown. Permission is granted to make copies of this article, as long as our names or website www.vaticancatholic.com are given. * The first time any source is cited in these endnotes, its complete information is given, including publisher, year, etc. The second and following times a given source is cited, only the title and page number are given. 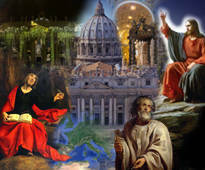 * L’Osservatore Romano is the official Newspaper of the Vatican. 1) The Papal Encyclicals, by Claudia Carlen, Raleigh: The Pierian Press, 1990, Vol. 2 (1878-1903), p. 393. 2) Decrees of the Ecumenical Councils, Sheed & Ward and Georgetown University Press, 1990, Vol. 1, p. 578. 3) Denzinger, The Sources of Catholic Dogma, B. Herder Book. Co., Thirtieth Edition, 1957, no. 423. 4) Decrees of the Ecumenical Councils, Vol. 1, p. 113. 6) The Papal Encyclicals, Vol. 2 (1878-1903), p. 393. 9) The Papal Encyclicals, Vol. 5 (1958-1981), p. 255. 10) The Encyclicals of John Paul II, Huntington, IN: Our Sunday Visitor Publishing Division, 1996, p. 497. 11) The Encyclicals of John Paul II, p. 643. 12) L’ Osservatore Romano, Baltimore, MD (PO Box 777), July 1, 1985, p. 3. 14) L’Osservatore Romano, June 23, 1980, p. 3. 15) L’Osservatore Romano, Jan. 1, 1979, p. 8. 16) The Papal Encyclicals, Vol. 5 (1958-1981), p. 249. 17) The Encyclicals of John Paul II, p. 517. 18) The Encyclicals of John Paul II, p. 542. 19) L’Osservatore Romano, May 7, 1984, p. 3. 20) The Papal Encyclicals, Vol. 1 (1740-1878), p. 260. 21) L’ Osservatore Romano, March 29, 2000, p. 2. 22) L’Osservatore Romano, Jan. 18, 1995, p. 11. 23) The Papal Encyclicals, Vol. 2 (1878-1903), p. 304. 24) L’Osservatore Romano, April 16, 1997, p. 3. 25) L’ Osservatore Romano, May 29, 2002, p. 4. 26) The Papal Encyclicals, Vol. 1 (1740-1878), pp. 237-238. 27) The Encyclicals of John Paul II, p. 502. 28) Decrees of the Ecumenical Councils, Vol. 1, pp. 550-553; Denzinger 39-40. 29) The Encyclicals of John Paul II, p. 540. 30) The Papal Encyclicals, Vol. 1 (1740-1878), p. 222. 32) The Papal Encyclicals, Vol. 3 (1903-1939), pp. 313-314. 33) The Papal Encyclicals, Vol. 3 (1903-1939), p. 317. 34) The Papal Encyclicals, Vol. 3 (1903-1939), p. 316. 36) The Papal Encyclicals, Vol. 1 (1740-1878), p. 98. 37) L’ Osservatore Romano,Dec. 9, 1980, p. 6. 38) The Papal Encyclicals, Vol. 1 (1740-1878), p. 98. 39) The Catechism of the Catholic Church, by John Paul II, St. Paul Books & Media, 1994, #121. 40) Darcy O’ Brien, The Hidden Pope, New York, NY: Daybreak Books, 1998, pp. 368-369. 41) Romano Amerio, Iota Unum, Kansas City, MO: Angelus Press, 1998, p. 578. 42) Catholic Family News, Niagra Falls, NY, September, 2002, p. 3. 43) Decrees of the Ecumenical Councils, Vol. 1, p. 578; Denzinger 714. 44) L’Osservatore Romano, Sept. 22, 1986, p. 2. 45) L’Osservatore Romano, Dec. 11, 2002, p. 6. 46) L’Osservatore Romano, August 26, 1985, p. 9. 47) L’Osservatore Romano, Dec. 9, 1980, p. 5. 48) The Catholic World Report, “World Watch,” June, 2000, p. 16. 49) The Encyclicals of John Paul II, p. 474. 50) L’Osservatore Romano, Oct. 23, 1989, p. 12. 51) L’Osservatore Romano, Feb. 19, 1990, p. 12. 52) L’Osservatore Romano, May 23, 2001, p. 11. 53) L’Osservatore Romano, May 12, 1999, p. 11. 54) The Catechism of the Catholic Church, p. 223. 56) L’ Osservatore Romano,May 29, 2002, p. 5. 57) Directory for the Application of the Principles and Norms of Ecumenism, by the Pontifical Council for Promoting Christian Unity, Boston, MA: St. Paul Books & Media, pp. 78-79. 58) The Papal Encyclicals, Vol. 1 (1740-1878), p. 57. 59) The Papal Encyclicals, Vol. 1 (1740-1878), p. 58. 60) Paul Kramer, The Devil’s Final Battle, Good Counsel Publications, 2002, p. 66. 62) The Papal Encyclicals, Vol. 3 (1903-1939), p. 317. 63) L’Osservatore Romano, Jan. 27, 1993, p. 2. 64) The Papal Encyclicals, Vol. 2 (1878-1903), p. 399. 65) The Encyclicals of John Paul II, p. 248. 66) L’ Osservatore Romano,Oct. 16, 2002, p. 5. 67) L’ Osservatore Romano,Oct. 16, 2002, p. 4. 68) The Papal Encyclicals, Vol. 1 (1740-1878), p. 297 and footnote 4. 69) L’ Osservatore Romano,Oct. 16, 2002, p. 4. 70) The Papal Encyclicals, Vol. 1 (1740-1878), p. 230. 71) The Papal Encyclicals, Vol. 1 (1740-1878), p. 207. 72) The Papal Encyclicals, Vol. 1 (1740-1878), p. 201. 73) The Papal Encyclicals, Vol. 3 (1903-1939), p. 318. 74) The Encyclicals of John Paul II, p. 953. 75) Sacerdotium, # 2, Instauratio Catholica, Madison Heights, WI, p. 64. 76) America Magazine, “A New Chapter in Catholic-Orthodox Relations,” July 3-10, 1999, Vol. 181, No. 1. 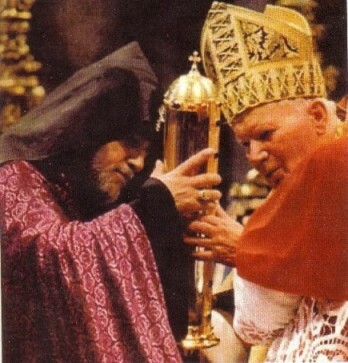 77) L’Osservatore Romano, Nov. 15, 2000, p. 6/7 – Joint Communique of John Paul II and Catholicos Karekin II. 78) The Code of Canon Law (1983), A Text and Commentary, Commissioned by the Canon Law Society of America, Edited by James A. Coriden, Thomas J. Green, Donald E. Heintschel, Mahwah, NJ: Paulist Press, 1985, p. 609. 79) The Papal Encyclicals, Vol. 1 (1740-1878), p. 364. 80) The Catechism of the Catholic Church, p. 5. 83) The Catechism of the Catholic Church, p. 216. 85) The Encyclicals of John Paul II, pp. 964-965. 86) The Encyclicals of John Paul II, p. 965. 87) Tertio Millennio Adveniente, Apostolic Letter of John Paul II, Nov. 10, 1994, Pauline Books & Media, pp. 43-44. 88) L’ Osservatore Romano,May 19, 1999, p. 11. 89) Decrees of the Ecumenical Councils, Vol. 1, p. 578; Denzinger 714. 90) The Papal Encyclicals, Vol. 1 (1740-1878), p. 229. 91) The Papal Encyclicals, Vol. 1 (1740-1878), p. 64. 92) L’Osservatore Romano, Nov. 14, 1983, p. 9. 93) L’Osservatore Romano, July 9, 1985, p. 5. 94) The Papal Encyclicals, Vol. 1 (1740-1878), p. 268. 95) The Remnant, St. Paul, MN, April 30, 2000, p. 6. 96) L’ Osservatore Romano,Oct. 31, 2001, p. 3. 97) L’ Osservatore Romano,Oct. 31, 2001, p. 4. 98) Statement to the Pontifical Academy of Sciences, Oct. 22, 1996, Original French Version. 99) L’ Osservatore Romano,June 19, 2002, p. 9. 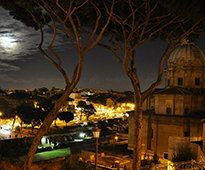 100) L’ Osservatore Romano,Oct. 23, 2002, p. 5. 101) L’Osservatore Romano, Nov. 2, 1978, p. 1. 102) L’Osservatore Romano, Feb. 27, 1984, p. 1. 103) L’Osservatore Romano, Jan. 8, 1992, p. 9. 104) L’Osservatore Romano, Jan. 22, 1990, p. 6. 105) L’Osservatore Romano, Sept. 2, 1985, p. 3. 106) L’Osservatore Romano, Jan. 1, 1979, p. 1. 107) L’ Osservatore Romano,Jan. 2, 2002, p. 1. 108) L’Osservatore Romano, Jan. 6, 1986, p. 1. 109) L’Osservatore Romano, April 2, 1991, p. 1. 110) L’Osservatore Romano, Jan. 30, 2002, p. 6/7. 111) L’Osservatore Romano, Aug. 29, 1988, p. 10. 112) The Papal Encyclicals, Vol. 5 (1958-1981), pp. 251-252. 113) The Papal Encyclicals, Vol. 3 (1903-1939), p. 6. 114) St. Francis De Sales, The Catholic Controversy, Rockford, IL: Tan Books, p. 45. 116) The Papal Encyclicals, Vol. 2 (1878-1903), p. 401. 117) The Papal Encyclicals, Vol. 2 (1878-1903), p. 396. 118) The Papal Encyclicals, Vol. 1 (1740-1878), p. 255. 119) The Papal Encyclicals, Vol. 3 (1903-1939), p. 317. 120) The Papal Encyclicals, Vol. 3 (1903-1939), p. 117. 121) St. Francis De Sales, The Catholic Controversy, p. 161. 122) The Papal Encyclicals, Vol. 2 (1878-1903), p. 393. 123) Decrees of the Ecumenical Councils, Vol. 1, p. 113.